“Hundreds of millions of euros” in suspicious transactions linked to an international diesel smuggling racket were discovered at Paceville’s Satabank – considerably more than investigators had originally expected to uncover, The Sunday Times of Malta has learnt. The Maltese Police and Financial Intelligence Analysis Unit are both combing through a network of “dozens” of shell companies linked to Maltese, Sicilian, and Libyan diesel smugglers, and their associates, often concealed behind minority shareholdings, which were discovered as having held accounts at the beleaguered bank. They believe the Paceville bank could have been the primary avenue through which the bulk of funds from the international criminal operation were being laundered. 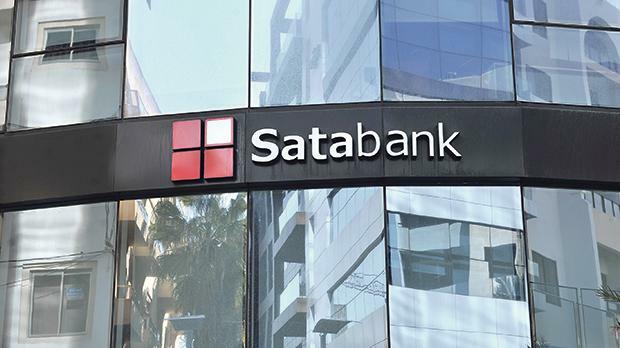 Last month, The Sunday Times of Malta had reported how billions of euros in suspicious transactions through Satabank were under investigation, with ties to a cornucopia of criminal activity. The move came after a joint inspection and audit by the Malta Financial Services Authority and FIAU last year found shortcomings in the bank’s anti-money laundering procedures. Meanwhile, The Sunday Times of Malta is informed that the Police’s Economic Crimes Unit and the FIAU are both trying to make sense of the complex web of accounts that they believe were used to conceal and launder the proceeds of the multi-million fuel smuggling racket. “White collar criminals” who are believed to have facilitated the crime, and possible ties to other smuggling operations – particularly linked to cigarettes and narcotics, are also being probed on the periphery of this investigation, sources said. “To make matters worse, the more we dig, the more links to other criminal activity we discover that appears to have been going on through this bank,” a senior source said. They added that Italian financial investigators had also started digging into the “mess” of corporate and client accounts that were used at the bank to move questionable funds. The fuel smuggling operation, which had started following the 2011 collapse of Libya’s Gaddafi regime, evolved into a large criminal organisation coordinated by Maltese smugglers, Libyan militia and Sicilian businessmen with ties to the Mafia. The Sunday Times of Malta has published several reports on the criminal activity, including collaborative reporting as part of the Daphne Project which has seen 18 media organisations in 15 countries team together. In October 2017 former Maltese footballer Darren Debono and his business partner Gordon Debono – a fuel trader – were both arrested separately in Lampedusa and Catania as part of an Italian crackdown on fuel smuggling ring. Sicilian fish trader Nicola Orazio Romeo, who has alleged links to the Mafia, and Libyan militia chief Fahmi Ben Khalifa had also been identified by Italian authorities as being major players in the operation. According to Italian investigators, Libyan fuel was smuggled out of Libya with the help of armed militia. It was moved from oil refineries near the port city of Zuwara in Libya’s northwest corner, with tankers full of refined diesel sent to Libyan ports for irregular shipping. A fleet of mostly fishing boats with large storage tanks would then carry the fuel out to sea where small tankers owned by Maltese businessmen and Sicilian gangsters would be awaiting for ship-to-ship transfers. The shipments were then transferred onto larger tankers bunkered at Malta’s Hurd’s Bank. And they grew more audacious, even emptying their loads directly at sites in Grand Harbour or into privately-owned fuel storage tanks in Birżebbuġa. Once the fuel was laundered using falsified certificates, it would be sold on to mainland Europe and end up in the cars of motorists at pumping stations all across the continent. The racket it believed to have generated several hundred million euros over a period of around five years. Sources said the local players involved were considered to be “connected and dangerous” – describing the operation as the “Wild West” in and around Maltese territorial waters. “These aren’t good guys – far from it,” one source privy to details of the investigation said. As for Satabank? Tens of billions of euros in transactions passed through the Paceville bank during its four years of operation and investigators believe as much as half of these were “high risk and highly suspicious”. Investigations by the authorities as to whether or not the bank’s management should bear any criminal responsibility were still at an early stage, sources said.